Renowned director and PRETTYBIRD co-founder PAUL HUNTER has a passion for never-before-told yet relatable and human stories. His work transcends mediums and genres such as music, advertising, comedy, sports and drama. Hunter most recently directed “Vital Signs” for Apple, which stars Dr. Dre, Sam Worthington and Ian McShane, and a short for Tyrese Gibson’s “Shame” produced by Denzel Washington. Hunter, alongside Kerstin Emhoff, founded PRETTYBIRD in 2007 with a shared and distinct vision to connect the worlds of music and film with brands in creating cutting edge content. After graduating with a degree in Radio, TV & Film, Hunter created spec commercials and videos, before landing his first professional gig directing a music video. 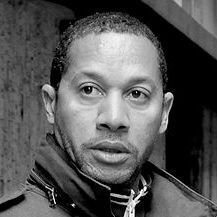 He quickly defined his distinct brand of visuals and made his mark on the commercial world with his iconic Nike “Freestyle” spot, which earned him numerous awards from AICP, One Show, D&AD and an Emmy nomination. Hunter continued this streak with Nike, taking home the prestigious Cannes Gold Lion for his landmark “Stickman” campaign. After numerous successful visual-based campaigns, he moved into the world of comedy, working on campaigns including Burger King “Tiny Hands” and Kia with Blake Griffin, which blended his visual style with a smart, offbeat sense of humor. Through his innovative artistic vision, Hunter has earned repeated commissions to create global campaigns for some of the world’s biggest brands and directed award-winning spots for Sony, Adidas, Apple, Audi, Infiniti, Orange, Nissan and Microsoft. In 2012, he earned a Bronze Lion for directing a four-spot campaign for Logitech that showcased the effect of music on groundbreaking moments in history, and soon after embarked on a campaign for Beats by Dre, which both won CLIO’s in 2014. Hunter’s T-Mobile spot featuring Kim Kardashian aired during Super Bowl XLIX and was rated amongst the top ads of the game. well as executive producing a multi-platform project for Rihanna’s album Rated R.
Some of his most memorable projects include The Notorious B.I.G.’s “Hypnotize” (MTV Best Rap Video), D’Angelo’s “How Does It Feel?” (MTV Best R&B Video) and Christina Aguilera’s “Lady Marmalade” (Video of the Year). Hunter has also worked with legendary artists including Michael Jackson, Stevie Wonder, Madonna, U2, Justin Timberlake, Will Smith, Gwen Stefani, Marilyn Manson, Lenny Kravitz and Jennifer Lopez. Most recently, his video for Pharrell’s “Freedom” was nominated for Best Music Video at the 58th annual Grammy Awards.